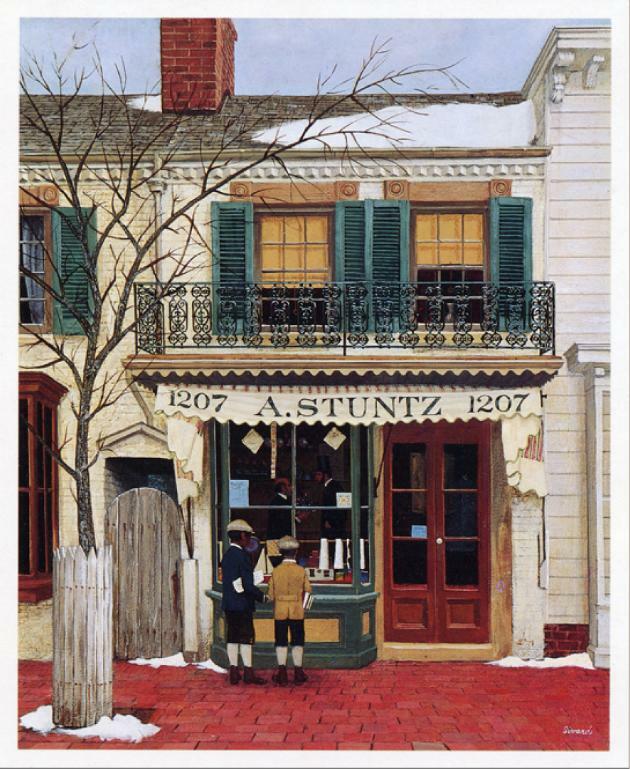 Appolonia Stuntz operated a shop at 1207 New York Avenue, NW, Washington DC in the early 1860’s. She and her husband stocked ‘fancy goods’, mostly imported items, including one of the largest selections of toys in the city. President Lincoln patronized the shop, which was located a few hundred yards from the White House. He is shown here purchasing a toy for his son Tad. The building has been destroyed. A Trailways bus terminal is on the site.